Money permeates all aspects of a divorce – because it becomes an expression of the challenges in a relationship, as well as the individual issues each carries. Learn the 5 ground rules you need to bear in mind when thinking about money in your divorce, as well as the 15 best practices for it during your divorce. Lastly, 5 tips to bear in mind after the ink has dried. Speaker 1: 00:00 Welcome to Working Women’s Wealth where we discuss what it takes to build real wealth in a way normal humans can understand. Here’s your host, Lisa Linfield. Lisa Linfield: 00:21 Hello everybody and welcome to today’s episode of Working Women’s Wealth. 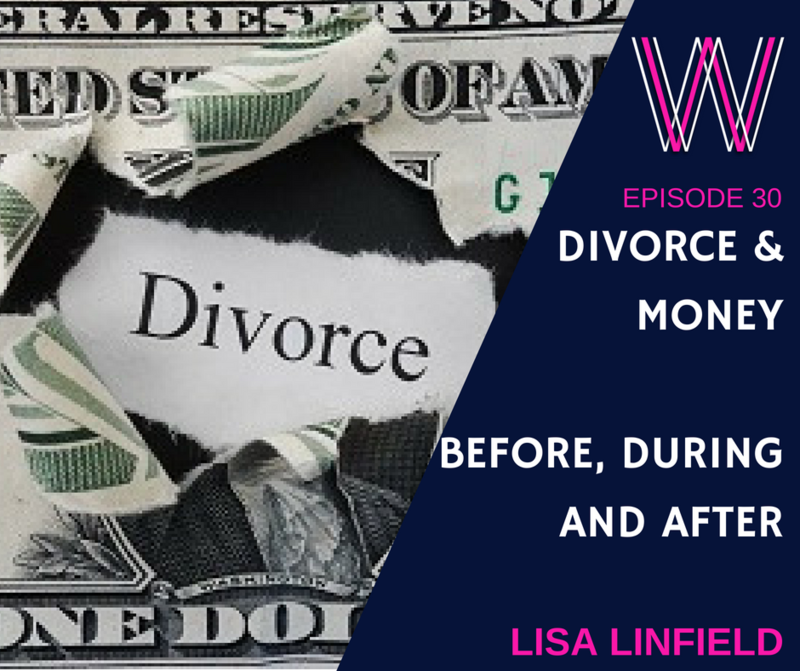 We are going to be chatting about that really painful and heartbreaking process called divorce and not the entire spectrum of it, but mostly what happens when we are trying to sort out the money issues and get to a settlement financially. The one thing I can tell you for free is that my observations of divorce, both from my clients and my financial advice business and friends around me, is that this is like one of those onions with many, many layers of complexity. The hurt keeps coming and as soon as you think you’re kind of getting to a stable place, something more seems to creep in. But there is one element that I can absolutely attest that is like a cancer that pervades every single layer of this onion and that is money. You see, money is something that truly reflects who we are. It’s often an expression of what’s going on either in our own relationships or in ourselves. So in my financial advisory business, I see money often being used as a control tool. So if one partner is looking to control the other one, they’ll often use money in order to do this and if you feel that your own life is not in control, I often see it after health issues or work issues where someone is feeling like their life is not in control. They will often go overboard in terms of trying to gain control of every other element of their life and use money as the way that they do that, and so it really is an expression of the fear that they feel inside them. So when it comes to divorce, this money thing pervades every layer of that onion. It really often is used as a weapon to manipulate the other partner, especially when it comes to the children, maintenance payments, access rights, visitation rights, and many elements of this process of divorce, and especially if money was always an issue between the partners. So I think that we need to start with five ground rules that I’d love for each of you to bear in mind when it comes to divorce. The first one is that if you have children with that partner of yours, you are with him forever. I often see people thinking, “Well, if I just get divorced, I’ll never have anything to do with them,” but the reality is, and especially if they’re young, you will see him at every single handover of the children. You’ll see him at school events, at sports matches, things to do with either educational or psychological wellbeing. Any major decision or health issue that’s related to your child will involve your ex and even if your children are older, it doesn’t necessarily mean that you’re free of him because your children will have a wedding. They will give birth to children and your grandchildren will have those exact same school plays, sports matches and birthday parties where you will meet this ex of yours. So bear that in mind when you think that through the settlement process that you’re going to be able to get rid of him forever. You won’t. The next thing is that no one wins in a divorce. Everybody loses, so if you are going into the negotiations with the mindset that you’re going to win at all costs and he will lose, even if you do win, even if you do get everything you want and he ends up not being able to see the children, et cetera, he will always know that he lost and he will resent you for a very long time. I have a client who no matter how much the spouse has changed and grown over life, she still resents her ex husband for the way he treated her through the divorce and she cannot move past that. And it’s a really hard and challenging process and I think that you need to know that there are better and worse outcomes, but nobody wins. The third ground rule you need to bear in mind is that divorce constantly evolves. I have seen people who have the best divorce you’ve ever heard of. You look at them and you think they’re the poster child of how one should be after a divorce and two years later they are back in mediation. I’ve seen those who have really bad divorces in the beginning, but both entities or both partners move on and they actually become great co-parents. It constantly evolves and so it’s never sorted and it’s never the end. It can get worse and it can get better. The fourth ground rule you need to bear in mind is that it’s going to take time, effort, and emotional discipline. It’s absolutely crucial that you get the best settlement, so it really is one of those periods in life when you need to just dig deep and do the work. You can’t just curl into a ball and say, “It’s enough. I’ll give up on everything. I won’t fight this, I’m not going to negotiate anymore. I can’t do it anymore.” You cannot give in. You need to dig deep. You need to draw in as many resources as possible and you need to make sure that you have the emotional discipline not to let go. It is crucial that you arm yourself with facts, that you stay away from emotions and that when you feel like giving up, you talk yourself into doing what you need to do. It is such an important agreement. One of the most important agreements you’ll ever make in your life is this settlement agreement, and so you need to make sure that you dig deep. And the last ground rule that you really need to bear in mind is that you need to negotiate with facts. You must always acknowledge emotions, but you need to negotiate with facts. Facts are king and for many of you out there that dealing with numbers, piles of evidence, papers, analytical arguments, if this just isn’t your thing, then you need to get some help and support. And it’s hugely important that you dig deep again and get on top of this stuff because in any form of negotiation, the person armed with the most facts really does win. So now that you’ve got those ground rules in mind, let me take you through 15 what I call best practice tips to the approaching of your money and your money settlement through this divorce, and the first of these 15 is really collect as much information as possible. If you suspect he’s going to divorce or if you are considering divorcing your husband, make sure that you have the facts that you need at your fingertips. That you collect the financial information that you need, that you get bank statements, that you go to the bank and draw a bank statement of your home loan, your mortgage payments so that he doesn’t go into the mortgage and draw out more money while you’re not looking and tell you that actually less has been paid off than you think. Make sure that you collect this financial information and that you throw it in a one drive or a Dropbox folder somewhere that only you have access to you and collect as much information as early as possible. In any negotiation, whether it’s an employee dispute, whether it’s a divorce negotiation, whatever the negotiation is, he or she who has the most facts will win. The most evidence, it really is one of those things where you need to get on top of your game. And it brings me to the second thing which is that you need to track every single cent that you spend. I can tell you that all of us underestimate how much money we spend and how much money we need. And every single time I do this exercise, whether it be in just normal budgeting process or whether it be through a divorce, people are horrified to see how much money they actually spend and you need to do it over a period of time. And the reason why is that many expenses don’t show up every single month. School uniforms usually only show up when the terms change. Major health issues, you need to track it for as long as possible and every single cent that you spend and also the mileage that you use on your children.So if you have to drive a child very far away to horse riding, or rowing, or somewhere where you are having to do long distances, make sure that you track that mileage so that when you say, “This is what my fuel for my car costs me,” you don’t end up having to do a huge amount of justification because you have the facts. So you need to track everything that you spend and track it for as long as possible. And again, the more information you have, the clearer and less emotional you’re going to be when it comes to negotiating that monthly living allowance. The third thing that’s really important is to understand your legal rights. It amazes me how many people think that they are only entitled to the bread crumbs that fall off the table. There are two sets of legal rights that you have. You have the legal rights of your country, state, wherever it is that you live, and you have the contractual rights that you signed when you got married. So when it comes to state legal rights, the state works to protect people in the case of divorce or the dissolution of marriage, and so there are bare minimums that are put in place. The second thing is that when it comes to the contracts that you signed, even if you didn’t sign a contract and you’re actually married in community of property, the law states that you are entitled to half of everything that is in that community of property. So unless there is something specifically specified in your marriage contract that is excluded, you are entitled to half of everything, and that includes if he has a business, you’re entitled to half of that business. If you married with an antenuptial contract, which is an actual contract, the contract will say what you’re entitled to under divorce. In South Africa, we have a process called accrue, which means that on the divorce or death that you’re entitled to half of everything that was earned during the time of your marriage. And so it’s hugely important that you understand your legal rights because even if you have an antenuptial contract that says when you leave the marriage, you get what you came in with, your state laws still have laws that protect you. For example, we have laws in the maintenance of surviving spouses. We have many different laws that protect a person and you need to understand what your legal rights are because that should be the minimum of what you get. It is also the fair thing for what you get. The fourth thing is what I call best case BATNAs and WATNAs. It’s quite crazy, but stick with me. You need to write down your best case negotiated agreement. So when the two of you sit down to negotiate, what would heaven look like in terms of a very bad situation? Is it that you get the house, and you get all the children’s school fees paid, and you get a monthly allowance of x? Write down your best case. Then write down your best alternative to that negotiated agreement, your BATNA, best alternative to a negotiated agreement. Now that BATNA is what you would basically settle for if you had to. So if you say that you wanted your children to only go to the spouse every alternate weekend, then your best alternative might be that maybe he gets Thursday afterschool to Sunday night or Monday morning. So you already think through what is the range of okay that you can deal with. And then lastly, your WATNA, your worst alternative to a negotiated agreement. What would the worst thing that would happen to you? You might think it’s 50/50, but actually the worst thing that could possibly happen is that he gets full custody of your children and you only get alternative weekends. So whatever it is, when it comes to the money, when it comes to visitation rights, when it comes to holidays, when it comes to anything, what is your best case, what is your best alternative, and what is the worst thing that could happen. And be very thoughtful when you write this down and in as much detail as possible. So saying, for example, that he will pay the health insurance or medical aid for you is one thing, but remember that there are also expenses that are over and above that. So the best case will be that he takes care of all the healthcare expenses for both you and your children. All of them, every single bill. The best alternative is that he pays for the monthly medical insurance and you split the extra bills 50/50. And the absolute worst alternative is that you get stuck paying for the medical bills. So be very clear to go through and think deeply about it. And the fifth tip is understand your ex’s best case, BATNAs and WATNAs, and the reason for that is that if you actually seek to put yourself in their shoes, knowing them as well as you have, because you have been married to them for a while and understanding what makes them tick. If you write this list down and you understand the ranges of things that they would be willing to have and what would be their worst case, it gives you a very much deeper insight into the negotiations you’re about to have. The sixth thing is what I call five whys and I am absolutely passionate about five whys. For me it’s a technique that I use often to keep myself honest and to really differentiate between what I call good reasons and real reasons. So if you say, for example, that in your BATNAs, WATNAs, and best cases your best case was that you would have these children full custody and he would only see them every alternate weekend, then you might start with asking yourself your first why. “Why do I think this is the best alternative? Why should I have full custody?” And so when the answer is, “Well, I’m a better parent,” your next question will be, “Well, why do you say you’re a better parent?” That answer might be because he’s very unreliable. Then you’ll ask yourself your third way. “Why do you say that? Well, because he never does the adult stuff like make them do their homework, eat their vegetables, anything that requires a slight bit of discipline.” So then you’ll ask your fourth why. “Well why does that make him a worse parent,” and you might come to the answer, “well, because it put pressure on me to make sure that all the homework is done before they go to him. All the kids eat all the vegetables while they’re with me. I’m always the bad cop.” But even in this example, you can start to see that there it opens up at least further negotiating options. So if he doesn’t end up only getting alternate weekends and gets from a Thursday night to a Sunday night, then you can make sure that you put in the agreement that he needs to ensure that all of the homework that needs to be done over that period of time is completed and that he makes them eat vegetables. So at least if you can understand the drivers behind what are the good reasons that you want something and what are the real reasons you want something, you might end up seeing what things you’re asking for just to spite him and what things are actually really valid concerns. And by you having a lot deeper understanding of that, it’ll give you a lot more negotiation room in this settlement discussion. The next thing, point number seven, is remember that the ideal is not just win win. That in actual fact it’s win, win, win. That there are children involved in most of these divorces and when there are children involved, it’s not just okay for what works for the two of you. You need to make sure that the children’s needs are taken care of. So if you are, for example, decide that you both agree that actually he can only do these alternate weekends, your children’s best case might be one week on and one week off and their worst case might be only seeing their dad on alternate weekends. So even if the two of you finally end up agreeing with that, you’re actually going to screw your kids up in that process and so maybe you both need to make sure that you are very clear of what their best case, worst case, and best alternative is. And that you strive for this win, win, win, that all three parties kind of interests are very well represented. Point number eight is that when it comes to splitting assets, you really need to keep both practicality and emotional attachments in mind. So I have seen people propose in negotiated settlements that literally split the assets in half. The houses or fixed assets get sold and split in half. The pension funds get split in half, the investments get split in half. Basically everything gets cashed in and split in half, and whilst that is technically exactly what should happen and the fairest solution of all, we’ve worked on alternative options. And these alternative options can be recognizing or cognizant of the fact that in actual fact, one of you might like or feel comfortable with dealing with physical properties such as rentals and others of you might be actually much more comfortable dealing with shares and investments. And I’ve learned in my financial practice that there are different thinkers when it comes to money and for some people they want a physical to touch their investments and other people don’t want the hassle of tenants. So don’t be really legalistic about making sure that everything is sold and divided in half. You’re able to negotiate this so long as the value remains the same and if you had a rental flat before you came into the marriage, that is of much more sentimental importance than something that he might’ve had before coming into the marriage, then maybe you’re able to both get the two assets that you want. But again, there are extremes in this and make sure that you are not so irrational in your negotiation because you’re emotionally attached to a house, or to a property, or anything that you’re unable to keep yourself balanced and logical in the approach. Don’t give up everything just to keep the family home you’re in. And when it comes to splitting assets, point nine is definitely don’t forget fees and taxes. Really it’s important that you make sure that when you look at splitting these assets, if it is something that you have to sell, don’t forget that you’re going to pay capital gains tax, you’re gonna pay estate agents to sell houses. There are going to be costs. So if you’re going to get something less costs, you must make sure that that balances out with whatever he gets to keep. And it also brings me to understanding total cost of ownership. I see many times, especially mums trying to create stability for their kids and fighting to keep the family home. And the reality is that home is too big and too expensive to maintain because when there were two of you potentially earning and one house, it was okay to pay the rates, and the taxes, and the water, and the electricity, and the upkeep and maintenance of such a big house. But when there is just one of you and you’re struggling to get by, those costs add up. The bigger the property, the bigger the other costs. So really understand total cost of ownership. Make sure that you don’t fight so hard to keep the family house and then end up having to sell it three weeks later because you can’t afford it. So bear that in mind when splitting these assets and make sure that you also point 11, take inflation into consideration. What something is worth in five years time is not what it’s worth now. So if you look, for example, in South Africa, our inflation is roughly 6%. In 12 years time your costs will double. That’s the impact on inflation. If you live in a country with 3% inflation, that number’s 24 years, but don’t assume that you are able to agree a number and that’s the end of it. You need to make sure that it’s built into your contract that any monthly or regular payments have inflation that takes into consideration. And make sure that it increases every year so that you don’t wake up three years later and go, “Oh dear, I haven’t got an increase for three years,” and then try and take a big step up. It’s not going to work. Each year make sure that the amount you pay increases with inflation. Point 12 is don’t forget your retirement provision. It is hugely important that you not only focus on your day to day needs, but that you remember that in divorcing you are halving your retirement contributions or retirement funding that you have collectively aggregated over the years. You need to make sure that, particularly if for example he keeps the retirement policies and you keep the house, that you sell that big house, release some capital and put away some money for retirement. I see so often divorced women getting into retirement and they’re unable to retire. The reason why is because they waited until the children had left home before they started retiring, but they didn’t have any retirement savings that were ticking over in the background. So focus on retirement provision and make sure that a portion of everything that you get goes towards or is allocated towards your retirement. Third, last one, make sure that you insure your ex and provide for your obligations. Now I know this sounds like a really crazy thing, but it’s hugely important that you get the settlement agreement in the context of that it is going to provide for you and your children. And if your ex was to die two years later, how would you be able to keep your children in school? So as part of the divorce settlement, make sure that he is willing to go for the blood test required for a life insurance policy and make sure that you get a life insurance policy on his life because if he dies, you will need that money. Secondly, bear in mind that if you die, if you’re the one paying monthly maintenance amounts, when you die, you are absolutely liable for that obligation. So you need to make sure that you’ve got life insurance on yourself to provide for that obligation because your ex is allowed to sue your estate as a person who’s owed a debt and they will get first rights to that money because it is an obligation that you have and that not even death can separate you from that obligation. A piece of useful advice that I would give you is if you are insuring yourself to make sure that you have the money available for that obligation. Don’t have one life insurance policy and you say 50% goes to my current and 50% goes to my ex. I’ve seen it cause a lot of problems when your current spouse thinks that they’re getting $10 million and then they find out that the only are getting five because half of it’s going to the ex. If you can keep the policy separate so that one goes one way and one goes the other way, but understand that your current partner will have to stand in line behind that obligation to your ex. Then we look at mediation versus court settlements, and in one of our previous podcasts, I interviewed Linda [inaudible 00:24:16] who is a retired, divorce judge and she was absolutely so articulate on the fact that the only person that wins in a court ordered divorce is the lawyers who are getting paid a huge amount of money. Mediation and particularly when you can have a negotiated mediation that involves a financial advisor or a financial element judge, mediation is absolutely a much cheaper option. Don’t waste this money that both of you are fighting for on lots and lots of expensive lawyers. And lastly, I really suggest that you get help from a financial advisor. Full disclosure, I am a financial advisor so it’s probably a view I would hold, but I have yet to see a couple or an individual come to me for advice on a divorce settlement that has not benefited significantly, because financial advisors have to keep up to speed with the latest laws. The latest tax rules and their experience in dealing with … This is your first divorce, hopefully. They deal with many of them, and they see, and have been through, and learned from many different kinds. They have a lot of really good tools in their toolbox to help support you through this and find third, fourth or fifth options that neither you nor your ex have thought about. So that was also a really important kind of element to keep in mind and when the ink is finely dry on this divorce settlement, I totally get that you are going to be shattered. Emotionally, physically, mentally you actually want to curl in a ball and just have a year of reprieve from anything to do with admin or fighting, but I really, really want to implore you and really kind of share some of my learnings with you that there are five really important things you need to get right after that divorce settlement is done. The first one, and I’m dealing with three different clients at the moment on this particular issue, is that you need to finish the asset transfer. If the divorce settlement says that you are now the sole owner of your primary residence, of the house you are living in, make sure that you get his name off it, and if he is obliged to finish paying the mortgage on it or the home loan monthly installments, make sure that he settles that. That he uses the cash from the transaction to settle the mortgage on the house so that it can transfer 100% into your name. I can’t tell you how many times, 10, 15 years later, I’m working with clients who are trying to either sell a house and their ex won’t sign the transfer papers, or do renovations on a house, or trying to do something on that house and can’t do it because it’s still in their ex’s name. I totally understand that you are exhausted at the end of this and you don’t want to go through one more financial thing with this man, but you need to make sure that you tidy it up, that you get all the assets transferred and things in your name. The other one that I see often when it comes to this point is retirement funds. Say the court order says that $500,000 goes to you. What happens is that instead of splitting the payment or the retirement fund, people leave it and so when it comes 10, 20, 30 years time to retirement, the husband is obligated to hand over that $500,000, but you’ve got no growth. You’ve got no major value on it and it also becomes another sticky thing that 20 years later you’re trying to ask him for your money for retirement. So I really, really implore you that you make sure that you get those asset transfers finished. The second thing is changing your will and the beneficiaries on your life insurance policies. For many of us we’re just at the end of our tether with all this admin and we don’t do that, and what happens is that you die and everything goes to this ex that you would rather roll in your grave than have everything go to. And I know in South Africa, if you pass away within three months of a divorce, the court will not uphold a will that says that everything goes to a ex, but after that three months, they assume that this is what you want. So make sure that you change your will and you change your beneficiaries on your life insurance. And this is absolutely important that also when you’re changing your will, you and your spouse, even if it’s part of a divorce settlement, agree that if both of you die who the guardians will be. Because otherwise it’s left to the final surviving spouse to decide who the guardians are going to be and that might not be something that you would have wanted for your children. The third thing to do is to make sure that you draw up a budget. This is your new life with new income and it’s going to be smaller than it was because the same income can’t stretch as far as it used to. 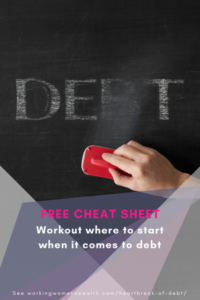 Make sure that you draw up a budget and make sure that you hold tightly onto that budget for the first six months, because you need to get fit. You need to get experience in what it’s like to live off that amount of money and you might also need to reeducate your children as to what the norms are. You might not be able to afford movies every week now, it might only be a once a month and everybody’s going to have to adjust and fit in with that. In terms of that budget, the fourth point is make sure that you understand what you now need to save for retirement and that you really embrace your own need for providing for your future. It’s no point saying, “Okay, well actually I don’t understand money. I never had to look at retirements or investments.” Make sure you get a good financial advisor and make sure you understand how much you need to retire because you can’t use that excuse of, “Well, I’ve never had to deal with it.” You need to get on top of it. You need to make sure that you’ve got a plan in place. And I totally get that maybe for the first year you’re settling into your new expenses, but I often observe people who four, five years down the track haven’t started saving for retirement, but as their salaries have increased or their businesses have grown, they’ve just increased their living expenses and not put anything away. And it’s hugely important that you now take the accountability of saving for your retirement. And lastly, you really need to make sure that you don’t try and keep up with your ex’s spending. I’ve learned that even if two people earn the exact same income their spending ability is completely different because the one might spend it on show and tell things and the other might invest it for their retirement. In fact, I have a client who is in his retirement years and he doesn’t have enough for retirement. One of the major reasons is that after the divorce he wanted to make sure that he was the cool dad. So he spent so much money on his kids, and on taking them overseas, and doing amazing things with them when he actually couldn’t afford to. So don’t try and keep up with your ex and what he’s spending. Make sure that you have your own budget that you stick to, and I can tell you one thing I have observed with kids, kids understand that there are different rules in each houses and they can adapt to that. And so make sure that you’re okay on your side, that you don’t need to spend everything that he’s spending and you don’t need to match him one for one. Really put the effort in to learn about your money, to learn to deal with the money and to take that control. So for those of you that are either going through a divorce, or know someone who’s going through a divorce, or have survived a divorce, and are now trying to stand back on your feet financially, I really do encourage you to get as much help as you can, to get as much support as you can, and to get a financial advisor that’ll help you navigate this territory because it’s hard and it’s not an easy option for anybody, and the more help you get, the more able you are to get through this thing properly. Please do share this podcast with those that you think might need it and leave a review for us and really I would implore us all to support those around us who are going through a really challenging time in a divorce. 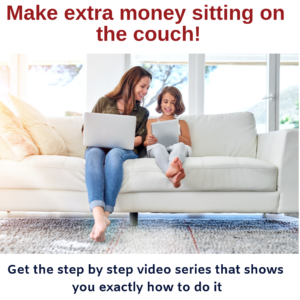 I’m Lisa Linfield and this is Working Women’s Wealth and if you go to our website workingwomenswealth.com, you can find different articles to help support you through this process. Take care and have a good week.